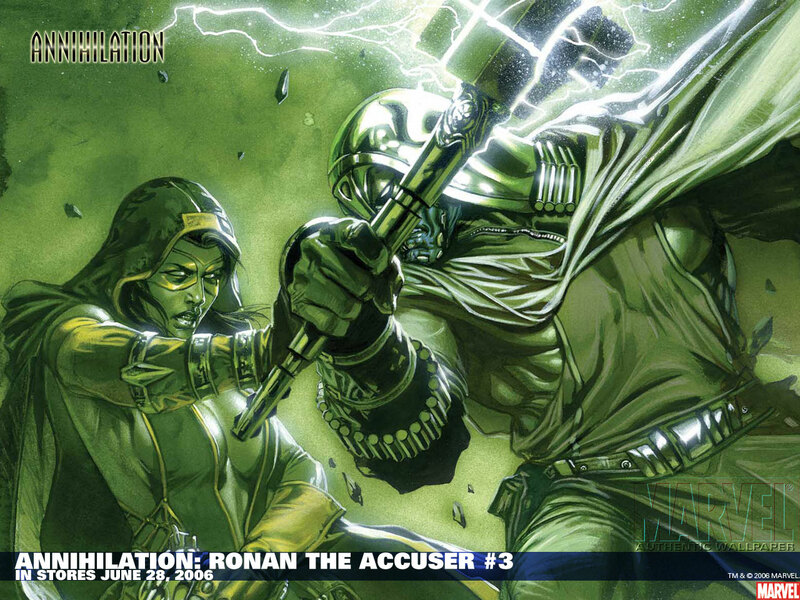 Ronan is a villain / anti-hero in the Marvel universe. He is a leader of the Kree empire. 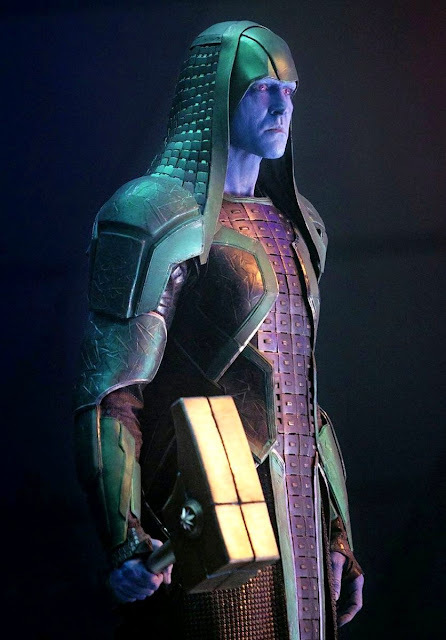 Ronan is the main villain in Guardians of the Galaxy and is played by Lee Pace. Ronan appears again the MCU film Captain Marvel that occures prior to the event of Guardians and the Galaxy. Here are cool items to show off your love for Ronan. Pulled directly from Amazon. Ronan is like the Kree version of Judge Dredd. Ronan was born and raised on the planet Hala the capital planet of the Kree empire. He is a legend of the Kree Accuser Corps. The Accuser Corps are governor / juries that go around the empire dispensing justice. The leader of the Kree the Supreme Intelligence anointed him Supreme Accuser of the Kree Empire. Basically, when it comes to accusing he is THE accuser. Ronan likes to carry a huge hammer similar to Thor. It is called the Universal Weapon and it actually uses cosmic energy to do a variety of things. The Universal Weapon can blow things up, matter arrangement, alchemy like transmutation, fire energy blasts or absorb energy blasts, force fields, and create time/gravity changes. Ronan first encounters Earth heroes when he is investigating the destruction of a Kree Sentry robot on Earth. There he battles and is beaten by the Fantastic Four. The Kree are startled that humans are capable of Ronan. They decide to send Mar Vell to investigate the going ons of Earth as a spy. Ronan then led a revolt against the Supreme Intelligence with fellow Kree warrior Jarek. He is then temporarily ostracized from the empire. In the Kree Shi'ar war he serves on the Kree Super human team Star Force. They battle the Shi'ar Royal Guard and the Avengers. Eventually, the team returns to Hala to help rebuild the planet after the war. Ronan finally takes control of the Kree empire and one of his first actions is to attempt to shore up relations with the powerful Inhumans. He enters an arranged marriage with the Inhuman, Crystal. While, the marriage begins rocky they eventually fall in love with one another. However, the leader of the Inhumans, Black Bolt enters into another agreement with the Supreme Intelligence (Who had regained control of the Kree when Ronan usurped him) that the two shall be separated. They thus are one Marvel's star crossed lovers. Ronan wears a suit that is geared out to give him Superhuman strength and durability. His suit/gauntlets allow him to turn invisible and freeze people in suspended animation. 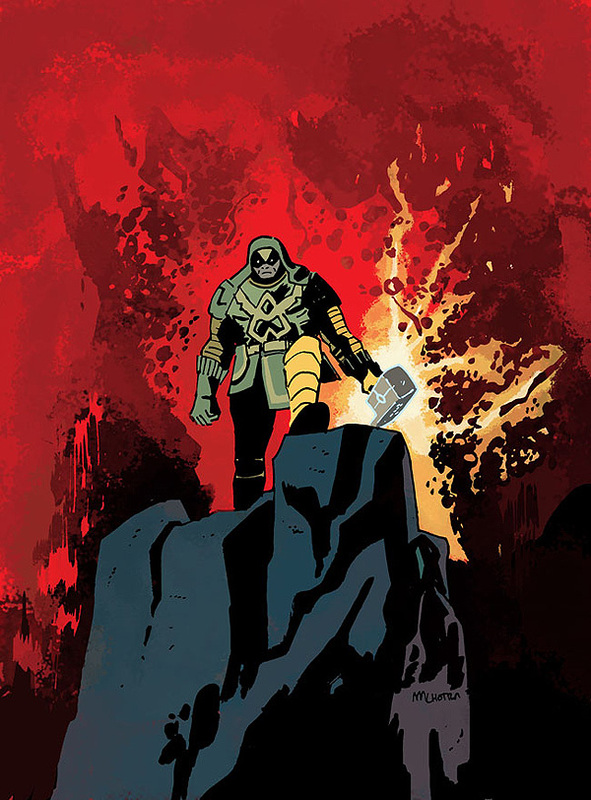 His Universal Weapon Hammer is also very powerful and can do a variety of things like transmutation, gravity/time manipulation, energy blasts and force fields. In the upcoming movie Ronan the main villain hunting down Star-Lord. 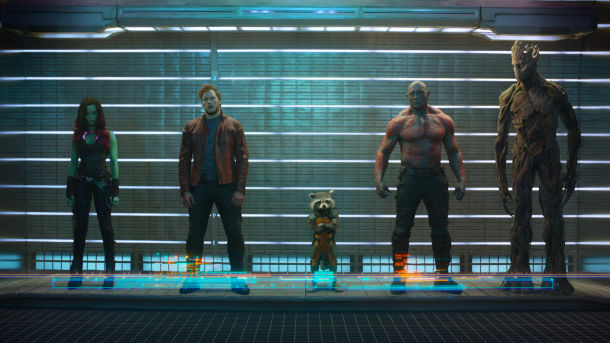 There is a picture of him lifting Drax with one arm and another of his large ship dropping small green balls. Ronan will be played by Lee Pace. In this version Ronan has killed Drax's family as an agent of Thanos. Ronan is bent on the destruction of Xandar but is defeated by the Guardians of Galaxy and the Nova Corps. Starlord manages to distract Ronan by distracting him with a dance off. A younger version of Ronan is depicted in the film Captain Marvel that takes place during the Kree Skrull War. Ronan is a member of an elite group of Kree soldiers called the Starforce. Who is the Supreme Intelligence (Kree)?